What does the new liking system on Facebook mean for business pages? 1. Reputation management has gone deeper into non-verbal behavior. Before users could sit behind their computer screens and write lengthy reviews about your business or simply choose to not hit the “like” button on your posts. Now, users can show additional non-verbal thoughts with a click of the button. 2. Choose wisely when engaging from a business standpoint. When engaging on behalf of your business, pay attention to what posts you are liking, or worse off, laughing at. You could potentially skim through an article you think is worth a “laugh” when in reality it is intended to strike another reaction. We don’t recommend you stop engaging all together, just be smart about it. 3. What to do if a customer shows sadness or anger toward your post? Quite honestly, you could choose to do nothing – or you could choose to respond the same way you respond to online review channels such as Trip Advisor or Yelp by physically responding with text. However, be forewarned, tread lightly. If you respond to all of your sad or angry posts, you may start a trend and spend countless hours writing to numerous posts. We do not envision an upward spiral of businesses receiving a ton of reactions other than likes or hearts, but time will tell. With a proper social media management strategy in place, you should be safe, and most people will not be inclined to react negatively. Will there be additional changes? 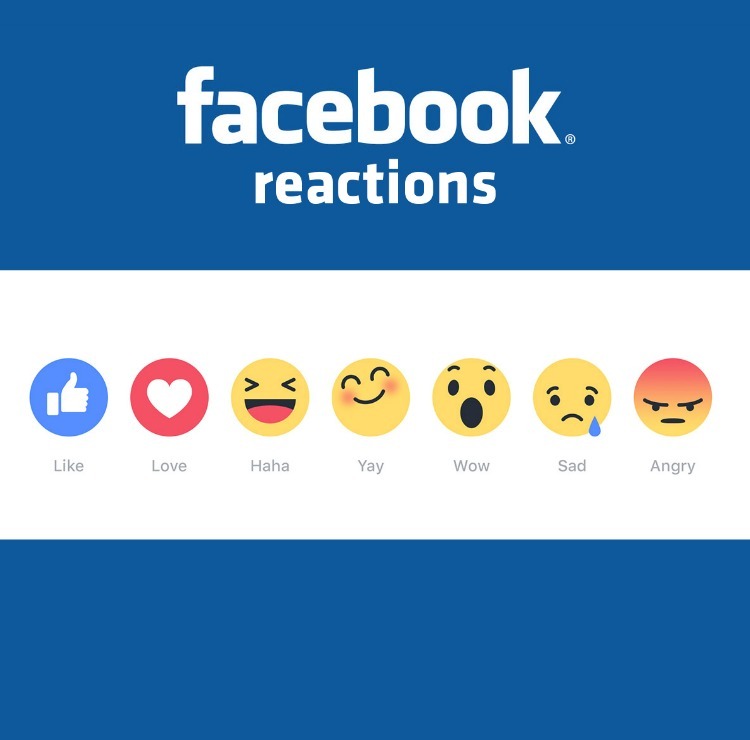 If you remember when Facebook released the dislike button, it was soon rejected on the grounds that it would create too much negativity. As with many social media sites, this change could be temporary, but in the meantime, stay aware and pay attention to any reactions your followers may express!